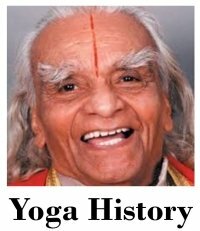 BKS Iyengar is an Indian teacher of Hatha Yoga with a western influence. To be sure our information is correct, many quotes are taken directly from the Wikipedia organization. They have already performed extensive research on Yoga. 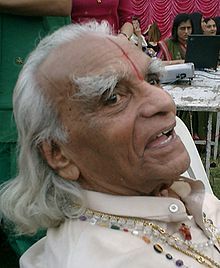 B. K. S., or Bellur Krishnamachar Sundararaja Iyengar (born December 14, 1918), is the founder of Iyengar Yoga and is considered one of the foremost yoga teachers in the world. He has written many books on yoga practice and philosophy including Light on Yoga, Light on Pranayama, and Light on the Yoga Sutras of Patanjali. 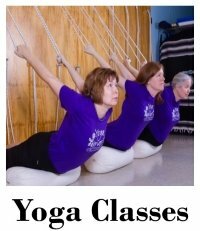 Iyengar yoga classes are offered throughout the world. Iyengar is one of the earliest students of Tirumalai Krishnamacharya, who is often referred to as "the father of modern yoga." While modern yoga has arisen from the teachings of Krishnamacharya, it is Iyengar who has been primarily responsible for popularizing yoga around the world. As a young boy from India, he suffered from several different aliments, including malaria, typhoid fever and just a basic lack of nutrition. His father had died when he was about 9. When BKS was approximately 15, his brother in law asked him to come to be with him in Mysore, India. While there, he learned asana practice; and, most notably, his health improved! His brother in law continued influencing BKS when he had Iyengar and other students give yoga demonstration in the Maharaja's court at Mysore, which had a positive influence on Iyengar. By the time he was only 18, he was sent to Pune to spread his Yoga teachings. He also kept learning and advancing himself. 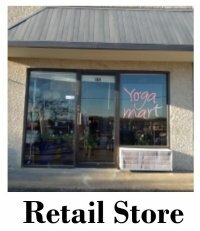 By the1950's, he was a very accomplished Yoga teacher and practitioner. As he met various famous people, his teachings and methods allowed him to travel the world. In 1966, Light on Yoga was published. 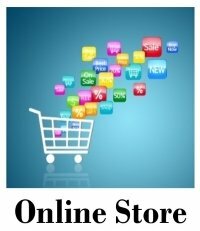 It eventually became an international best-seller and was translated into 17 languages. 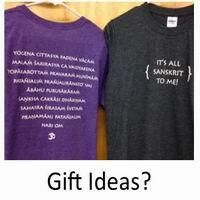 Light on Yoga was followed by titles on Pranayama and various aspects of yoga philosophy. In total, Iyengar has authored 14 books. In 1975, Iyengar opened the Ramamani Iyengar Memorial Yoga Institute in Pune, in memory of his late wife. He officially retired from teaching in 1984, but continues to be active in the world of Iyengar Yoga, teaching special classes and writing books. Iyengar's daughter, Geeta, and son, Prashant, have gained international acclaim as teachers. In 2005, he visited the United States to promote his latest book, Light on Life, and to teach a special workshop at the Yoga Journal Conference in Colorado. October 3, 2005 was declared as "B.K.S.Iyengar Day" by San Franisco City's Board of Supervisors. Anthropologist Joseph S. Alter of the University of Pittsburgh stated "He has by far had the most profound impact on the global spread of yoga. In June 2011, he was presented with a Commemorative Stamp issued in his honour by the Beijing branch of China Post. There are over thirty thousand Iyengar yoga students in 57 cities in China. The noun "Iyengar" is included in the Oxford English Dictionary, defined as "a type of astanga yoga...", named after B.K.S.Iyengar, its deviser. BKS Iyengar reported in interviews that, at the age of 90, he continues to practice asanas for 3 hours and pranayamas for an hour daily. Besides this, he mentions that he finds himself performing non-deliberate pranayamas at other times. BKS Iyengar attracted his students by offering them just what they sought - which tended to be physical stamina and flexibility. He conducted demonstrations and later, when a scooter accident dislocated his spine, began exploring the use of props to help disabled people practice Yoga. For a complete and thorough description, please refer to the Wikipedia Site directly.